Mr. Ken Sarajian, Pascack Valley’s 2017 Teacher of the Year, was recently honored by the Armenian National Committee of America - Eastern Region (ANCA-ER) at a gala in New York City with the Vahan Cardashian Award. The award is given annually to an ANCA-ER activist or supporter who demonstrates longstanding accomplishments on behalf of the Armenian Cause. 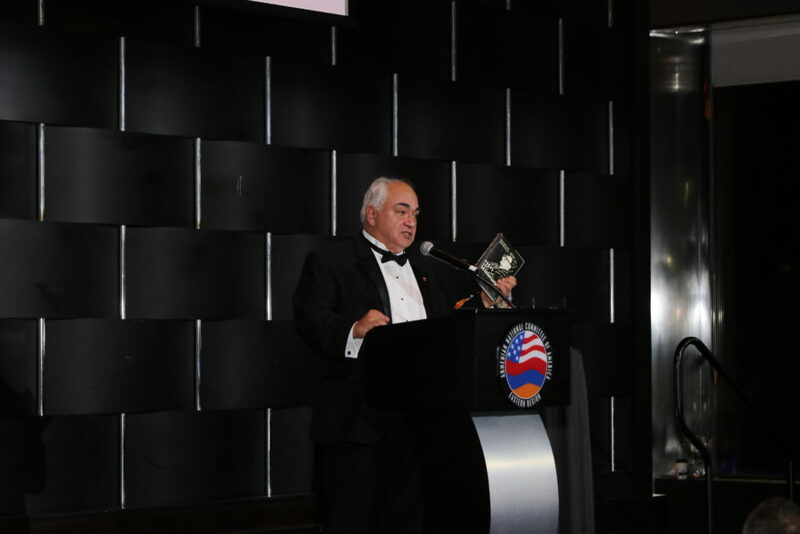 This year, the ANCA-ER honored Mr. Sarajian, for his lifelong dedication and activism as an Armenian American. Along with building key congressional relationships throughout the years, he recently promoted a new Armenian Genocide curriculum at the New Jersey Council of Social Studies, educating teachers on the life-saving efforts of Near East Relief during the Armenian Genocide, America’s first international relief effort. Sarajian continues to work diligently within the Armenian community and in his chosen field of public education to promote civic activism and awareness of all Genocides. Sarajian made special mention of the Pascack Valley Regional High School District and its support of Holocaust/Genocide education. In acknowledging his professional colleagues, he noted their efforts including taking twenty students to Washington, DC to meet with each member or staff of the NJ congressional delegation during a national day of Genocide awareness sponsored by several human rights organizations. The other two individuals honored were Oscar-winning writer-director Terry George (“Hotel Rwanda”) and producer Dr. Eric Esrailian for their film about the Armenian Genocide entitled “The Promise." We are incredibly proud of Mr. Sarajian not only for being recognized with this award, but for the outstanding role model he is to our students.